The Tamron 14-150mm f/3.5-5.8 Di III is a love it or loathe it kind of lens for Micro Four Thirds shooters. On the one hand, when scrutinising images at 100% magnification, there some quite obvious issues with the image quality. On the other, it's very liberating to shoot with one compact, lightweight lens that offers a broad enough focal range to cover the majority of subjects that you'll encounter. Panasonic camera owners will miss having Tamron's vibration compensation system for low-light situations, though, as trying to hand-hold this lens at 150mm will invariably result in some camera-shake. It's therefore a better proposition for Olympus users with their in-body stabilisation solution. Its sharpness is pretty good considering what the lens is trying to achieve, particularly at the wider-angle settings. It never hurts to stop the lens down, but the usable aperture range is actually quite broad at most focal lengths. This means that in the sharpness department, you're not paying too high a price for the convenience of having a single lens to cover such a vast range of focal lengths, although the 150mm focal length proved to be a little too ambitious throughout most of the aperture range. The Tamron AF 14-150mm didn't handle chromatic aberrations that well, with some quite obvious purple fringing appearing along contrasty edges. Corner shading was also an area of concern, especially wide open at 14mm and 150mm, and geometric distortion wasn't great either, particularly barrelling at 14mm. 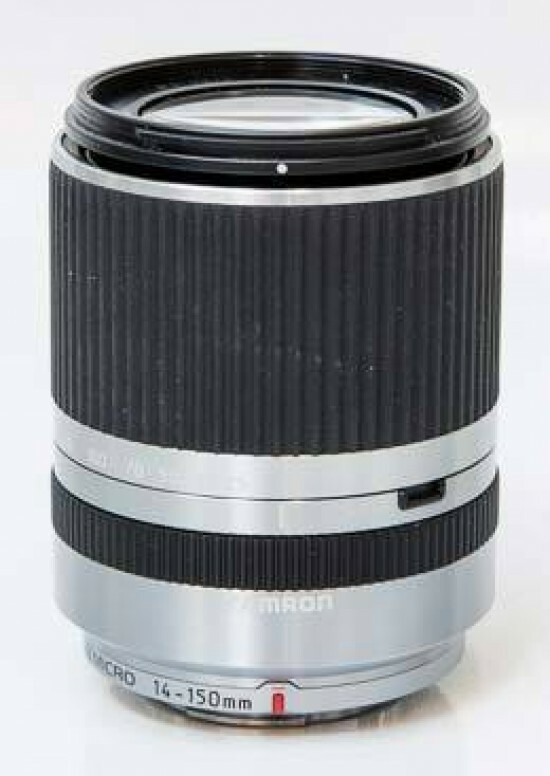 Mechanically, the Tamron 14-150mm f/3.5-5.8 Di III lens is as good as you could expect based on the reasonable asking price. The zooming action is smooth without the zoom ring being too loose, manual focus is easy, and the auto-focus stepping motor is quiet, fast and mostly accurate. Build quality is commendably on a par with most other Tamron lenses that we've reviewed. As an affordable all-in-one lens for Micro Four Thirds shooters that covers everything from wide-angle to extreme close-ups, the Tamron 14-150mm f/3.5-5.8 Di III is certainly an appealing proposition, especially for Olympus users. Panasonic camera owners may want to opt for the more expensive 14-140mm own-brand lens, though, which does feature image stabilisation.